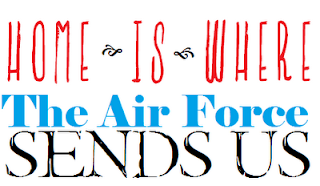 You might not know this about me, but I am a military wife. 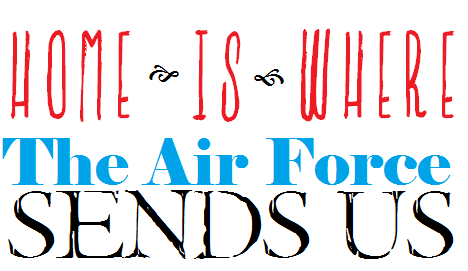 My husband is in the USAF, and that can make life hard for the whole family. Sometimes daddy misses Holidays or birthdays, and we have always had to live away from home--home where the grandparents are; and not home where ever the Air Force sends us. Sometimes we drive through four states to make it home for Christmas. Sometimes we brave the TSA and fly in for Fireworks in the 4th of July. Sometimes all we have is each other, and that is OK too. Being together is enough. Except for this one time of year. It's not Thanksgiving, or even trick or treating with out daddy for the third year in a row. I know that sounds completely petty and absurd, but I am writing this blog because it is breaking my heart and I can't fix it. The school has let the fundraiser people come in, and drill into all the kids heads that they aren't doing their part unless they sell ten items each. My only two school aged kids got their packets Friday and have asked about it constantly since then. I feel so bad for them, they are so excited. With each order form and catalogue they also passed out a PRIZE sheet. You get prizes for selling things and the kids are practically salivating at the idea. Only I don't know who they are going to sell to. 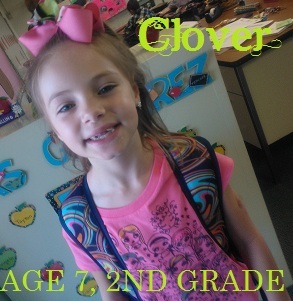 My oldest daughter, Clover who is 7; keeps suggesting people we can ask. She lists off the parents of all her friends, and unfortunately they all have kids that go to our school too. Did I mention our school is on an Air Force base? The one we live on? The one my husband works on? So all our of neighbors and most of my husbands coworkers have kids at the school. The ones who don't... well lets just say, everyone knows who they are and are looking for them Monday morning. Add no family any closer to Nevada than Texas and you don't exactly have a recipe for fundraising success. I tell them that, while I don't want to discourage them, we face unique challenges. I can't afford to buy 20 rolls of wrapping paper with out it coming out of the kids Holiday gift budget. So sweet little Violet who is 6 in just a couple of short weeks suggested I ask all my friends on the Internet. At first I shrugged her off, because I didn't think it would work. But earlier this evening when I was telling my friends on facebook why fundraiser time on an Air Force base is the pits, Clover's voice popped into my head saying we should at least try. Which is what she says every time she brings up the fundraiser. Which is at least twenty times since Friday. So I said, I am going to BLOG about this. I can't promise anyone will buy anything--but if just on person does that will help. Butterflies, math, science, art and staying out too late riding her bike. When she grows up, she wants to fight fires and sell books. Hopefully not at the same time. 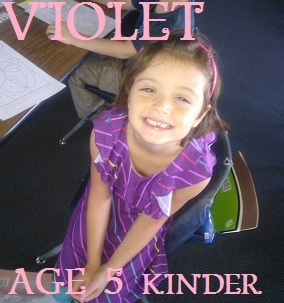 Writing her own books, anything her sister has, and the color violet. When she grows up, she hopes to be on youtube. Thanks for reading this far guys. It means a lot to me. More reading, writing, and bookish things will resume later in the week. Hopefully when I am done biting my nails over this ridiculous little bump in the road to happiness. Oh my gosh, your kids are adorable! It's so cute that they both want to sell books :) I always used to want to be some sort of scientist, and a writer! Good luck with the fundraising, I really hope it goes well! I can imagine them selling books: "This one's good. My mommy wrote it!" Trying to think about this… one nephew left in school, and he usually does FFA fundraisers. The next generation down (Mason, Skylar, Wyatt) isn't in school yet. I'll have to ask the strife, I mean wife, if we're in the market for anything. I remember when I was in school and I'd have a fundraiser to participate in. The prizes, oh the prizes! My parents never let me participate in those things when I was a kid. We weren't a very social family and even though my dad's lived in the same house for 20+ years, there are people who have lived there just as long he still doesn't know. Wish I could be of more help. But we live paycheck to paycheck so I can't afford to help out right now. If I could I would. Good luck to your little ones on their fundraising though.